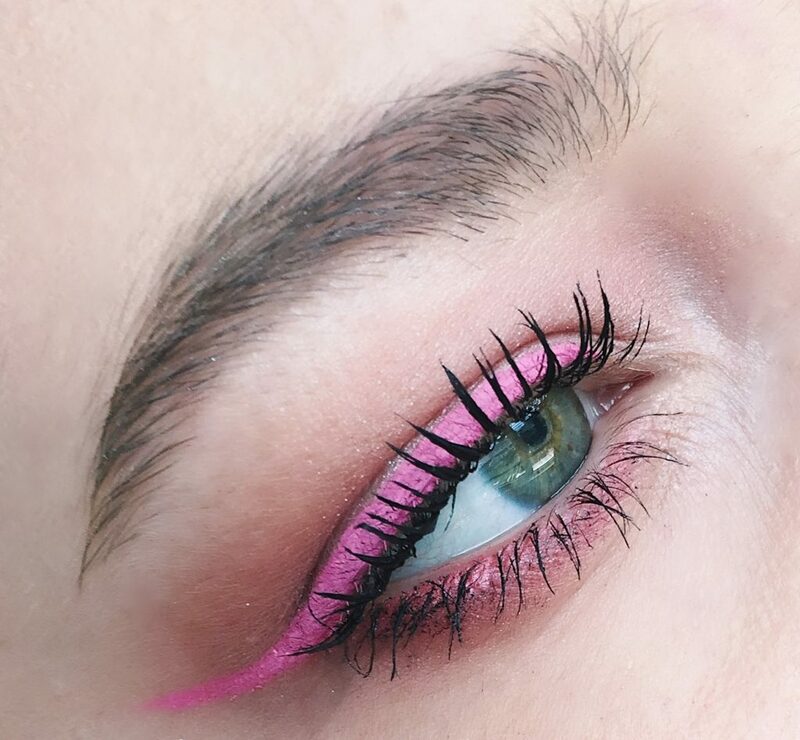 More chit chat about colourful products today from the fabulous brand NYX, this time about eyeliners though. As we’re approaching Autumn, we’re starting to see the trending colours this year emerging in bursts of red, yellow and pink in everything from shoes to eyeshadow. Definitely all bold statements in most shades but can still be paired with the classic fall favourite, the berry lip. 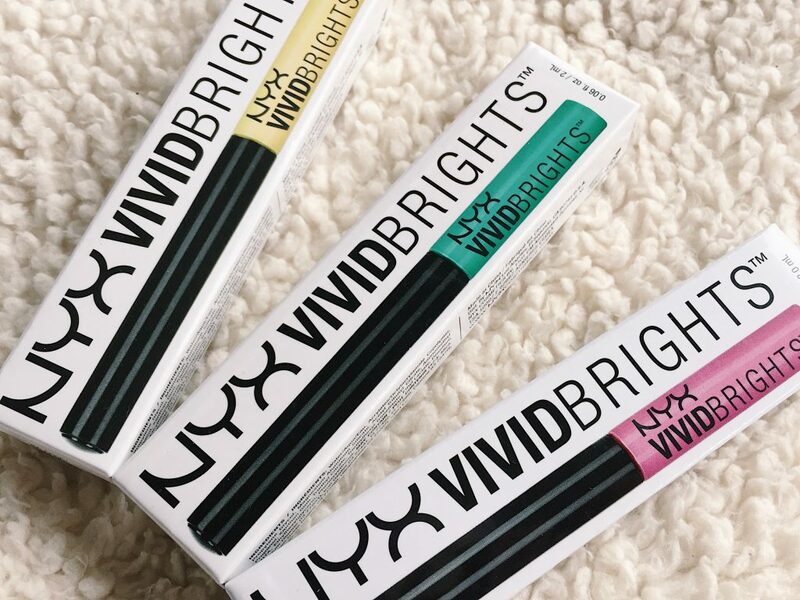 NYX have a stunning range of ‘Vivid Brights’ eyeliners in all sorts of popping coloured shades from electric blue to canary yellow. They aren’t particularly new products at all, I purchased the red one as soon as NYX properly hit the UK (earlier this year I believe?) but only started using it super recently when experimenting with the coloured mascaras, became a little obsessed and decided to invest in a few more to mix things up and keep my makeup exciting. Already having the red, I got myself the pink and the yellow and then Jake got me the green one too as he said he thought it’d matched my eyes nicely (cute). 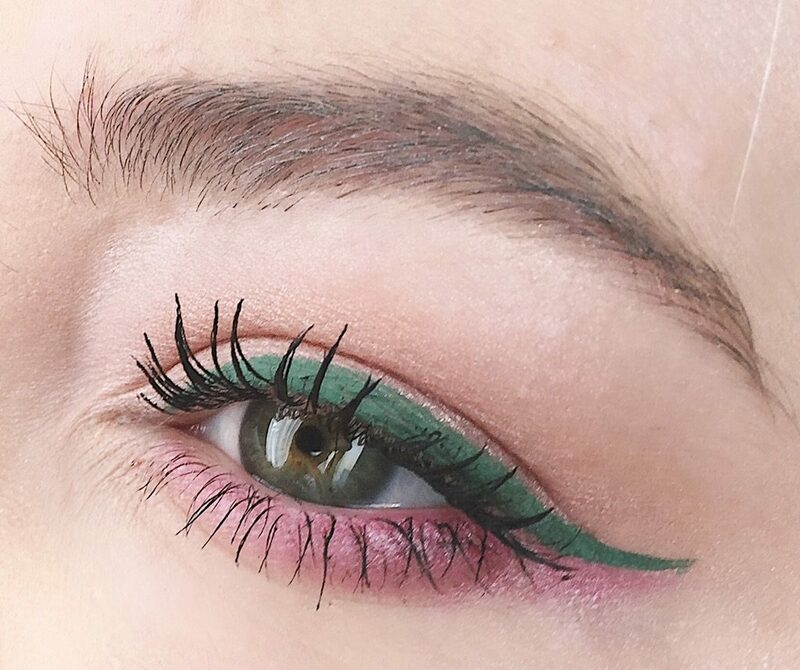 As for the formula, some of them can go a bit flakey or crack if you go over the top of where you’ve already applied the liner which isn’t the best but despite that, they are actually super long-wearing and don’t move all day. Overall, for £5.50 per liner I’d say they’re pretty decent and worth the money as they have a lot of product in them, are easy to apply and allow you to experiment widely with all sorts of looks. Personally I would prefer if they did them in pen form too as I find these kinds of liners so much easier to get a sharp flick and neat line with. I would love to pick up the blue and purple ones next, I think they might possibly be on my list for my christmas stocking! Would any of you wear or experiment with these or are they a bit a bold for your day to day makeup wardrobe and more of a festival statement? Favourite Spring And Summer Scents! "Bomb Cosmetics Heart Mallow and Bubble Up Soap!" "Amsterdam Travel Diary: Days 1 and 2!" cute cute cute! love the looks you created! Woow you look adorable in these! The colour is soo bold and brilliant! I would definitely say they are worth the money and are definitely in line with their name. I don’t think I would use these myself, they’re a bit bright for my taste! But you pull them off soo well and they go perfect with your mascars! Loving these colours ! I bet they would work well on the waterline too ! I am ALL about colorful make up at the moment! I need to get these the look incredible! Please give me your eyeliner skills! They are fabulous, treat yourself 🙂 Haha, thank you!! They are gorgeous! Especially the pink ones, they look amazing. You are so good at winging it! I can never do this with liquid eyeliner, I need a big sturdy pen ones for that. But I’ll get there and that will be the moment I’ll need these babies! These would be perfect for upcoming Halloween looks! I loved how you searched them on the eyes! Love the looks you’ve created!! I hope you had an absolutely wonderful time in Amsterdam, I look forward to a travel based post if you do decide to do one! ? 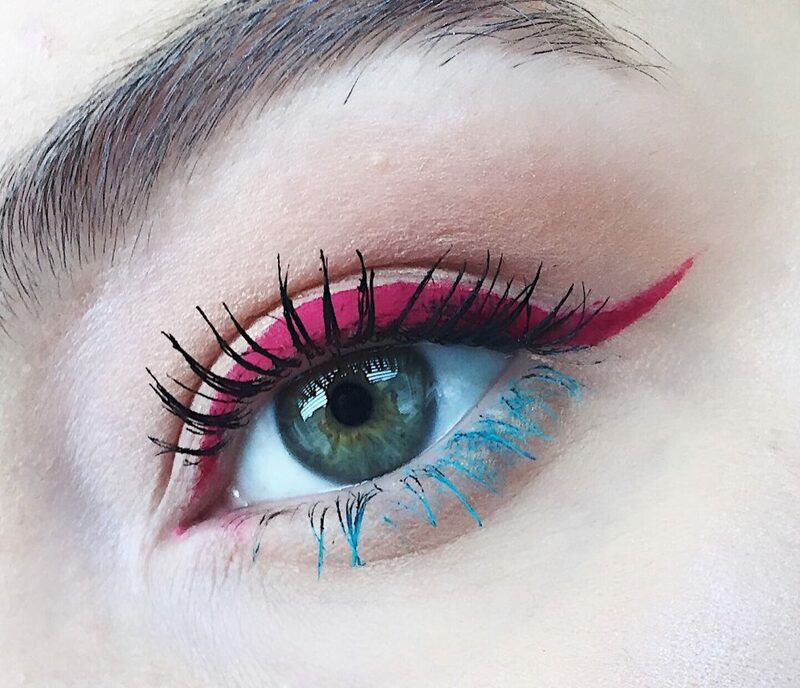 I wish I had the confidence to try coloured liners, but they suit you so much, I’m very jealous! ? These colors look fantastic on you! I especially love that pink/blue combo! It’s so daring! Wow, I wish I was brace enough to try out such vivid colours! Everything works so well together, the colours certainly are complementary and you’ve done a fantastic job with the application! At £5.50 you certainly can’t complain! The looks you’ve created with these looks are so pretty! 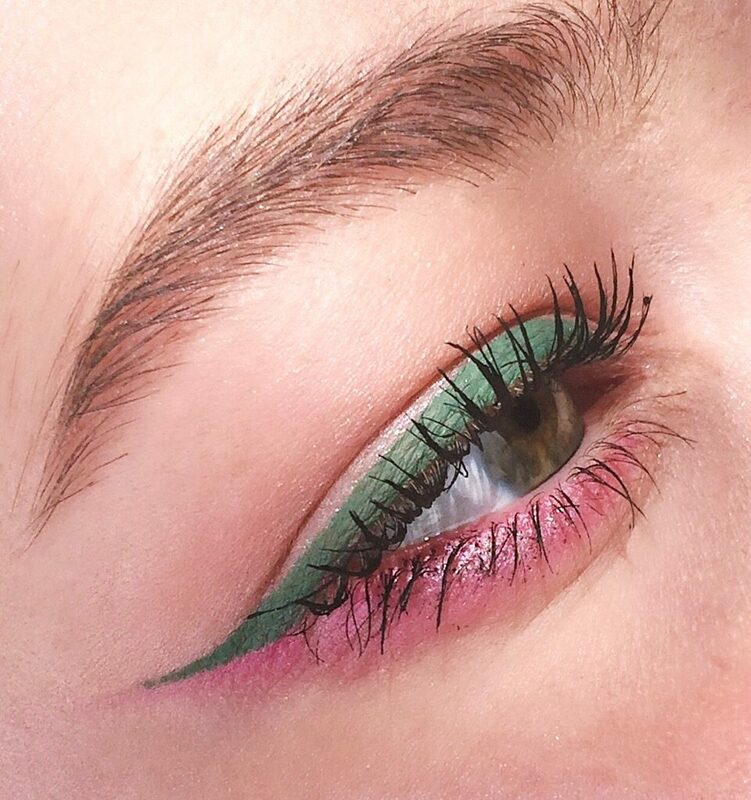 I feel like on paper coloured liner shouldn’t work but I’ve seen a few people wearing it now and it creates such an interesting look. My eyes are really dark so I’m not sure what colour would work on me but you’ve tempted me to try one out anyway! They sound scary but they’re honestly so fun to work with! I found once I tried one I just wanted to play around with them all 🙂 you should deffo go for it! I so want to try these out, I love the green! ? ?